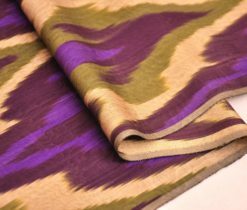 The person who has ever came to Central Asia, undoubtedly, will memorize amazingly bright colored and full of iridescent transitions fabrics. 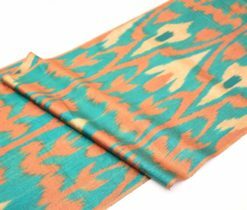 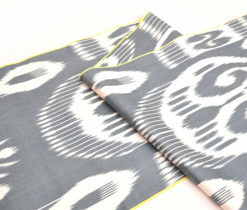 This is Ikat – one of the calling card of ancient and mysterious East, really beautiful and astounding souvenir which will not make you go to foreign countries in search of something unusual. 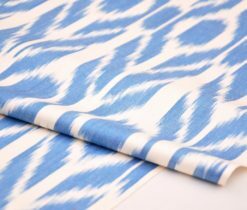 Our Grand bazaar shop performs wide assortment of Ikat fabrics, Wholesale Ikat fabric and Ikat fabric for sale. 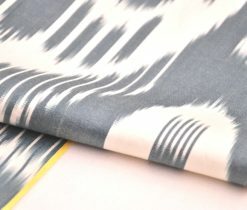 Famed for its unique dyeing methods, in which individual threads are selectively dyed before being placed on the loom, the Ikat fabrics are known to the whole world for their complex patterns with colors interweaving and blending to sumptuous effect, without penetrating the entire warp. 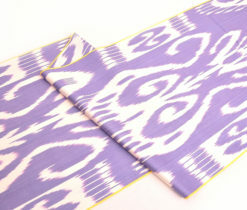 Uzbek Ikat fabrics differs from other fabrics with applying pattern firstly to the warp threads, and then the whole weft remains the same color. 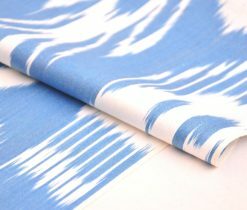 The fabrics are versatile in use and can be adapted for a range of stylish interior design usage including curtains, cushion covers and other household or personal decoration. 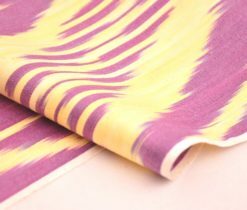 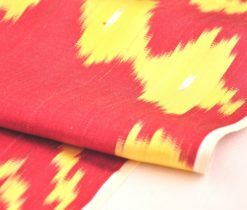 Ikat in Asian countries is mostly named like xan-atlas or adras, however, ikat fabric for sale has other types and assortment such as, Cotton ikat fabrics, Silk ikat, Velvet ikat and Silk gauze fabric. 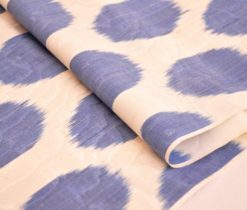 The most expensive and rare fabrics are handmade by craftsmen who take inherited skills from their ancestors and keep them as a great value. 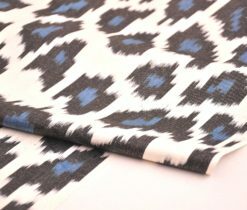 Latest modern tendencies in design of interior opened to ikat fabrics a wide range of opportunities. 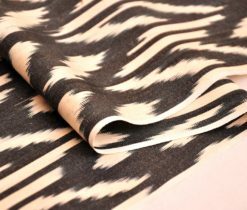 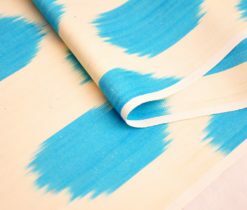 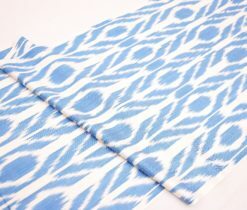 Ikat Fabric By The Yard have been used for designing homes and offices in eastern style, and for now, everyone who wants to fill the space with life energy can use Ikat fabric for sale. 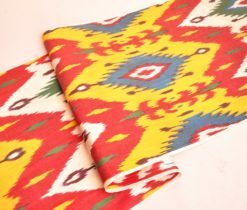 Bright colors, such as shades of blue, yellow, green and all shades of red looks in these kinds of interior too much ornate, naturally and richly. 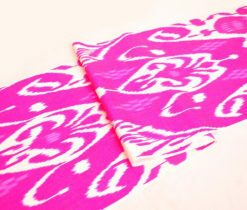 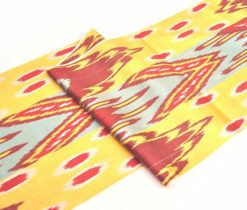 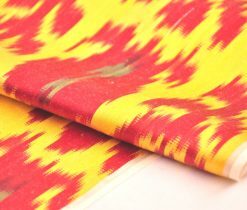 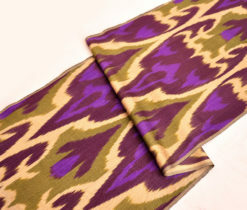 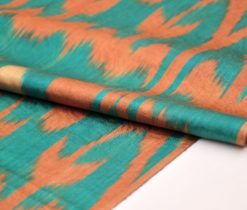 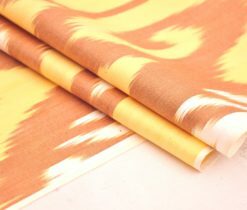 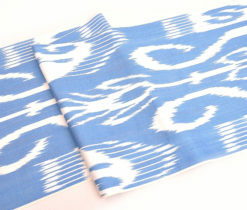 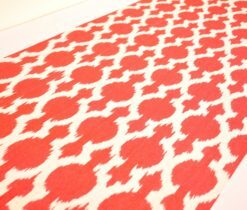 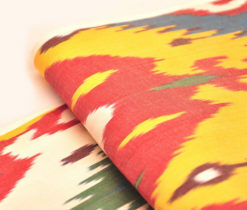 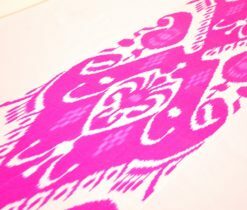 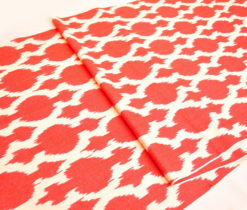 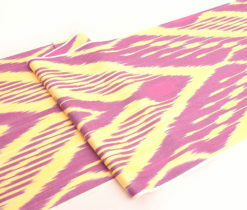 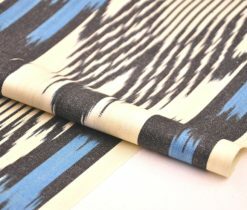 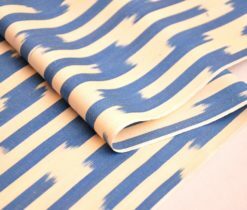 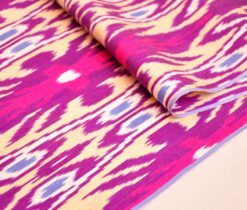 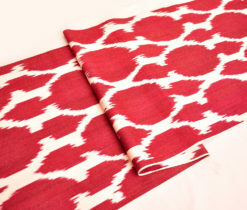 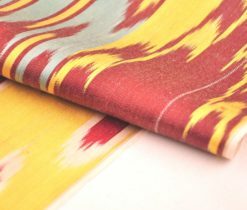 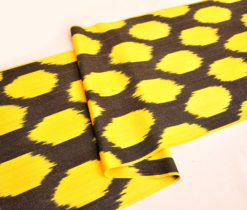 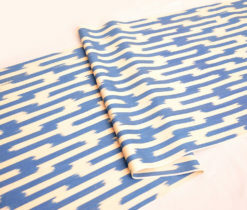 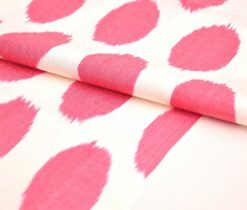 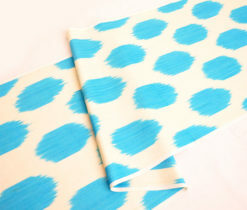 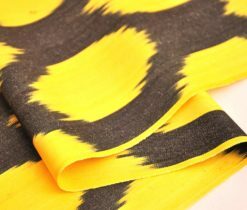 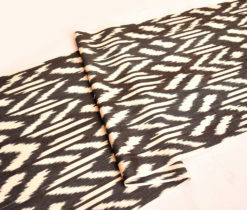 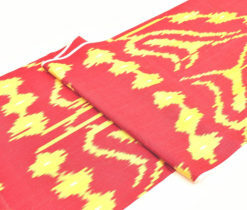 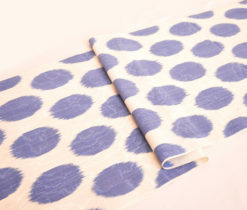 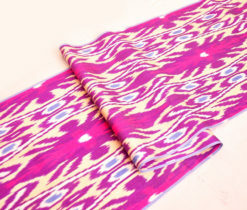 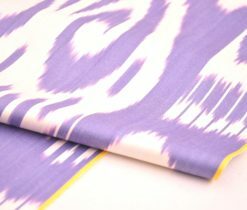 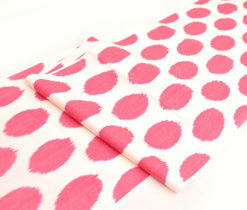 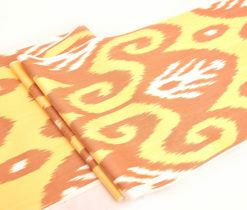 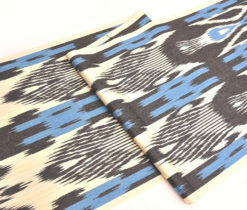 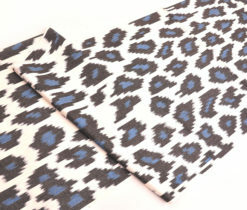 Nowadays you have no obstacles to acquire ikat fabrics as much as you need using wholesale ikat fabric. 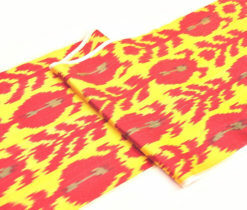 The only thing you need is to size a length of fabric by yard and order it. 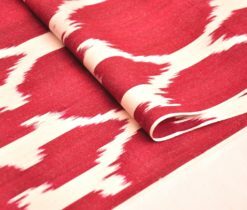 Ikat – is like a music for our eyes, and being a fortunate owner of an original masterpiece with a rich background, you will fill in your house with Eastern exotic, hot desert breath and glowing dyes of oasis.